Farmworkers apply the fumigant 1,3-Dichloropropene to a field in Salinas, Calif.
California’s $2.6 billion strawberry industry relies on a class of pesticides called fumigants, which have been linked to cancer, developmental problems and ozone depletion. The industry’s preferred fumigant, methyl bromide, was supposed to be banned by 2005, but California strawberry growers are largely the only ones in the developed world left using it. With the ban looming, state pesticide regulators allowed growers to blow through the health limits on another fumigant, 1,3-D, despite concerns from state scientists. The decision increased cancer risk for people living in more than 100 California communities, documents and interviews show. Paul Helliker had a job for Dow AgroSciences. As director of the California Department of Pesticide Regulation, Helliker had allowed some growers to ignore the restrictions for a pesticide called 1,3-Dichloropropene, which the state believed caused cancer. The loophole was supposed to be temporary. Helliker gave Dow, the company that manufactures 1,3-D, and growers two years to come up with a plan to follow his department’s rules or to create new ones. It took Dow less than a year to hand in its proposal. The company’s plan didn’t close the loophole, however. It greatly expanded it. Dow asked that the director allow growers across the state to use twice as much 1,3-D in a year as the rules permitted. And the company wanted it to happen quickly. Two Dow officials, Bryan Stuart and Bruce Houtman, closed their proposal by saying that “implementation will begin immediately upon receipt of approval” from Helliker. Six days later, Helliker signed off on the heart of Dow’s plan. With that simple memo in 2002, Helliker dismantled the strict oversight designed seven years earlier to protect Californians from cancer, opening the door to 12 years of nearly unfettered 1,3-D access as its use spread to populated areas near schools, homes and businesses. The decision put people in more than 100 California communities at a higher risk of cancer, according to interviews with former state scientists and documents obtained by The Center for Investigative Reporting. The system of exemptions, which has continued under two subsequent directors, runs counter to the department’s stated mission to protect the well-being of California residents. Joseph Frank, a retired state toxicologist whose team evaluated human exposure to 1,3-D, said people in those communities should demand answers. “They should ask their representatives, ‘Why?’ ’’ he said. The chemical is the third most heavily used pesticide in California. California has a long and tortured relationship with 1,3-D, a byproduct of plastic manufacturing that’s often sold under the brand name Telone. In 1990, the state suddenly pulled 1,3-D from the market after learning how much lingered in the air near farm fields in the Central Valley. After five years and $5 million of research, Dow persuaded the state to allow it back on the market with severe restrictions. In response to questions from CIR, Dow said no agricultural uses of 1,3-D pose any cancer risk. And the company said it has new research that shows the existing limits are too conservative. In an interview, Helliker maintained that his decision to alter the pesticide policy in 2002 didn’t put Californians in danger. Because the state’s regulations average cancer risk over a lifetime, Dow and state regulators said, it’s fine for people to be exposed to more 1,3-D in some years as long as it evens out over time. Helliker said he can’t recall whether department scientists disagreed with his decision. But documents obtained by CIR show a state toxicologist objected to the science – and the logic – as soon as Dow began raising the idea in 2001. Eight years later, a new batch of department leaders received similar warnings from another staff scientist. Toxicologist Linda Hall disputed the basic justification Dow and Helliker used to create the loophole. “Department of Pesticide Regulation (DPR) scientists do not agree and suggest that this practice may actually increase cancer risk,” she wrote. Still, department leaders didn’t put a stop to it. Chensheng Lu, an associate professor at Harvard University’s School of Public Health, likened the averaging idea to drinking and driving. If you get pulled over once and you are sober, but you are pulled over a second time and your blood alcohol level is twice as high as the legal limit, you can’t average the two incidents and say everything is fine. “This is a very dangerous approach,” Lu said. Dow’s plea came at a pivotal moment for California agriculture. An international treaty had banned the popular pesticide methyl bromide for depleting the ozone layer. Sweet potato farmers needed something to fill the void. But in the years since, 1,3-D has become an increasingly crucial chemical for the people who claimed they’d be hit hardest by the methyl bromide ban – California’s strawberry growers. The transition underscores the modern strawberry industry’s chemical dependence: Growers rely on heavy amounts of some of the most dangerous pesticides – a class called fumigants – to deliver the fruit year-round at an affordable price for consumers. Because strawberries like to grow where people like to live, in the perpetual spring of coastal California, growers often use the pesticides near schools, homes and businesses. The health and environmental problems that come with those pesticides have threatened the foundation of a $2.6 billion industry that provides Americans with 9 out of 10 strawberries they eat. Even as most of the developed world has moved on to other methods of farming, California’s strawberry growers have resisted the methyl bromide ban. Nearly a decade after the pesticide was supposed to be banned,the state’s strawberry growers have staved off the deadline by warning of financial ruin. Today, they use about 90 percent of all the methyl bromide in the developed world. Meanwhile, strawberry growers and chemical companies have cycled from one potentially dangerous chemical to another to try to replace methyl bromide. Strawberry growing can be an unforgiving business. 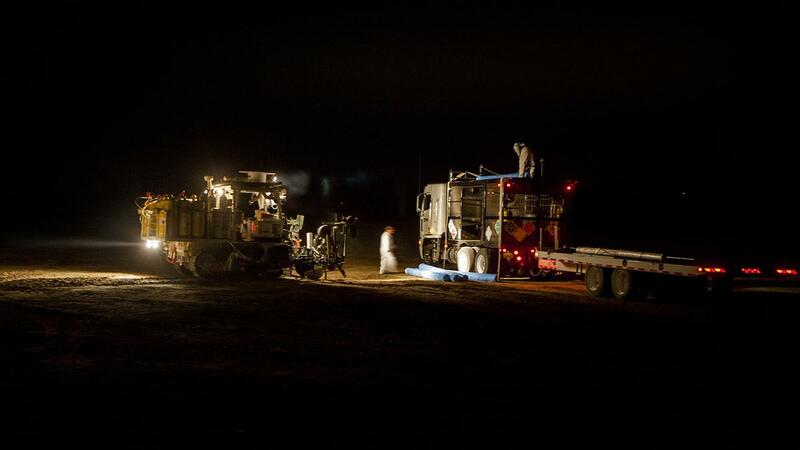 The fruit is fragile and land is expensive, so growers pump the soil with fumigants to wipe out most life below the surface, a sort of insurance policy against future plagues. Even though strawberries take up less than 1 percent of the total farmland in California, they account for at least 8 percent of pesticides used in the state. The three ZIP codes in the state with the heaviest pesticide use fall within two prime strawberry-growing counties, Ventura and Monterey. Fumigants don’t leave residue on the fruit, posing no risk to consumers. But even when they’re used correctly, they turn into hard-to-control gases that float into the air, affecting workers and residents. They’ve been linked to cancer, developmental problems and the hole in the ozone layer. State public health officials classify fumigants like methyl bromide, 1,3-D, metam sodium and chloropicrin as among the most potentially dangerous to workers and neighbors. Department of Pesticide Regulation head Brian Leahy says the agency is studying alternatives to fumigants, but no clear solution has emerged. They’ve become a key reason America’s strawberry production and consumption has skyrocketed. Without fumigants, the industry warns, farmers will go out of business, farmworkers will lose jobs, and you’ll have to pay more at the grocery store. Brian Leahy, the current Department of Pesticide Regulation director, said he wishes fumigants would go away, but he doesn’t see it happening. The department and growers are researching alternatives, but no clear solution has emerged. More than 1 million people live in the 100 communities where growers surpassed the original 1,3-D health limits. The state has allowed growers in six communities from Merced to Santa Barbara to exceed the limits every year since 2002. 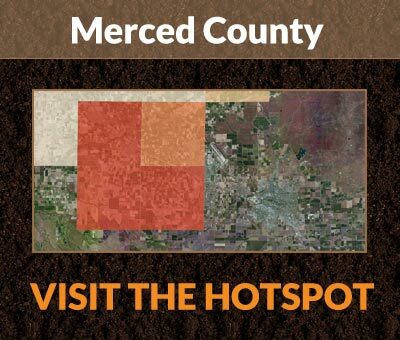 Some areas in Merced and strawberry centers like Monterey and Ventura counties have exceeded the limit by startling amounts. Near New Republic Elementary School in Salinas, for example, growers and Dow have been able to use a total of 1.3 million pounds more 1,3-D than the original rules allowed. Down the coast in Oxnard, Rio Mesa High School is boxed in on all four sides by strawberry fields. It’s surrounded by more of the most risky pesticides than any other school in the state. Here, strawberry growers surpassed the original 1,3-D health limits in 10 out of 12 years. 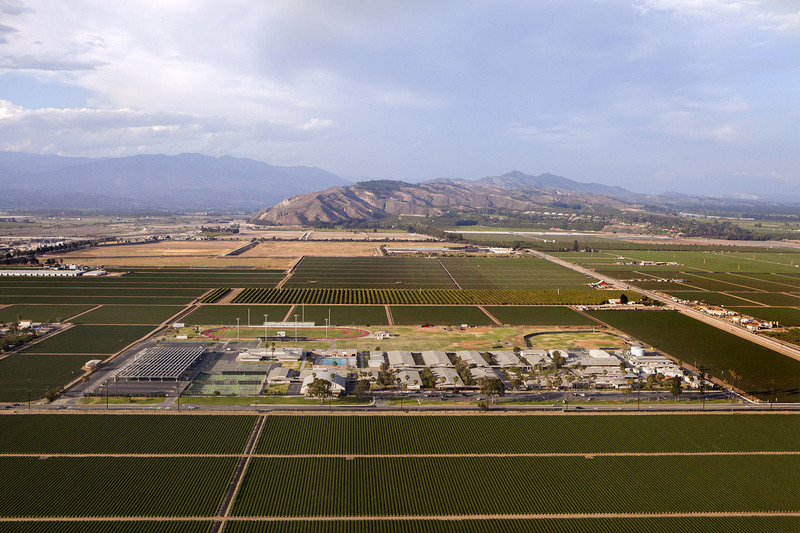 Rio Mesa High School in Oxnard, Calif., is surrounded by strawberry fields on all four sides. The balance between agriculture and public health plays out starkly here. An odd mix of sprawling cul-de-sacs and agriculture, the coastal city of more than 200,000 residents is just 35 miles from Los Angeles’ city limits. In the backyards of suburban ranch homes, fence doors open to vast strawberry fields. A single road can separate coastal townhouses from a farm. Ingrid Brennan is pragmatic about what she can control and what she can’t living here in Ventura County. She buys organic strawberries for her two young daughters. To avoid direct pesticide drift, she chose a house more than a mile from a farm field. Rio Mesa High School teacher Ingrid Brennan, seen here with daughter Sadie, says she wishes she knew more about pesticides’ health risks. But Brennan loves being an English teacher. Every day, she goes to work at Rio Mesa. She’s been pregnant twice while working at the school, and while her daughters are healthy, the potential health impacts of working next to pesticides loom in the back of her mind. Like many teachers at the school, she wishes she knew more. The state does know. Its air monitors show 1,3-D lingers in the air around Rio Mesa. It’s just that the teachers and principal had no idea. California strawberry growers use about 90 percent of all the methyl bromide in the developed world. During World War I, armies used a chemical called chloropicrin to penetrate the gas masks worn by soldiers fighting across Europe. The soldiers would throw up, forcing them to pull off their masks and expose themselves to other toxic chemicals. After the war, the U.S. had a lot of the gas left over and nothing to do with it. The surplus was shipped to Hawaii, where the pineapple industry tried using the chemical to eradicate troublesome worms in the soil. The results were dramatic – an acre treated with chloropicrin yielded 20 more tons of pineapple than an untreated acre. The Hawaii innovation marked the beginning of a new genre of pesticides. Researchers in other industries conducted more studies searching for gaseous chemicals that could wipe out pests in the soil and leave a clean foundation to plant crops. Growers had a new tool to fight a persistent problem. All kinds of fungi and parasites live beneath the soil. Wireworms burrow into sweet potatoes. Nematodes, another kind of worm, devastate almond trees. Verticillium wilt can sweep across a region, attacking plant roots and wiping out entire swathes of strawberry fields. In the 1950s, scientists at the University of California experimented with chloropicrin on strawberry fields, using hand-held guns to inject hundreds of pounds of the chemical into an acre of soil. Within 10 years, nearly every strawberry field in the state was being treated with a combination of chloropicrin and another fumigant, methyl bromide. Strawberries take up less than 1 percent of the total farmland in California but account for at least 8 percent of the pesticides used in the state. By the mid-1960s, strawberry growing had changed radically. The University of California and Driscoll’s, a major grower, pioneered heartier varieties that allowed them to be grown year-round. Growers started to replace their plants every year, which cut down on pests and diseases. They learned to mimic the natural progression of winter to spring by starting plants in the winter cold of Northern California and then shipping them to the coast, where there is year-round springlike weather. With those breakthroughs and the new chemical cocktails, California strawberry farmers had doubled the amount of berries a single acre could produce. This boom in production also coincided with the expansion of the interstate highway system and new cooling and packing methods. Interstates made it possible to reach markets on the East Coast. The fragile fruit was poised to become a gold mine. But Americans’ consumption wasn’t keeping pace. Farmers had the supply. They needed the demand. Dave Riggs was in charge of marketing for the strawberry growers’ trade group at the time. He got wind that cardmaker American Greetings Corp. was considering a few options for a new character. The growers’ association provided data arguing that the strawberry was the best choice. In the end, the company went with Strawberry Shortcake. “Everybody loves strawberries,” he said. Strawberries had started appearing on the cover of Cool Whip containers. Riggs went looking for other products that paired well with strawberries – chocolate dips, pie shells and daiquiris. Soon, strawberries were on boxes of Corn Flakes and Cheerios. Every year, Riggs would make a pilgrimage to New York to visit the most popular women’s magazines. He’d talk to editors at Ladies’ Home Journal, Redbook and Good Housekeeping about the strawberry season and provide them with recipe ideas. Today, Americans eat four times as many fresh strawberries as they did in the 1970s. Growers now were locked in. Fumigants helped produce more strawberries and made an unforgiving business more certain. 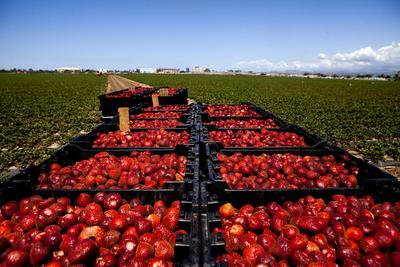 The modern California strawberry industry had been built on the back of methyl bromide and chloropicrin. But the destruction of the ozone layer was about to threaten its very foundation. Watsonville, Calif., strawberry grower Rod Koda uses methyl bromide pre-emptively every season to ward off potential problems. Visit Rod Koda and it’s likely he’ll ask you, in his friendly, chuckling way, to spray the soles of your shoes with Lysol. Koda’s Watsonville ranch is a sweeping, hilly expanse with a view of the Pacific Ocean that’s so picturesque, it feels like it should’ve been bought long ago by an elite country club or four-star hotel. He, like most strawberry growers, is afraid of what lurks in the dirt. He’s not sure whose soil you’ve been traipsing around on or what kind of diseases you might be dragging in from some other growers’ fields. That’s why methyl bromide’s so important to him. The stories of a past generation still haunt him: In the late 1950s, a plant disease called red stele swept through the area, forcing growers to abandon their land. The fungus infects the plant’s roots and either kills it or makes it less productive. Red stele can hang around in the soil for more than a decade. Today, growers like Koda use fumigants pre-emptively every season to ward off potential problems. 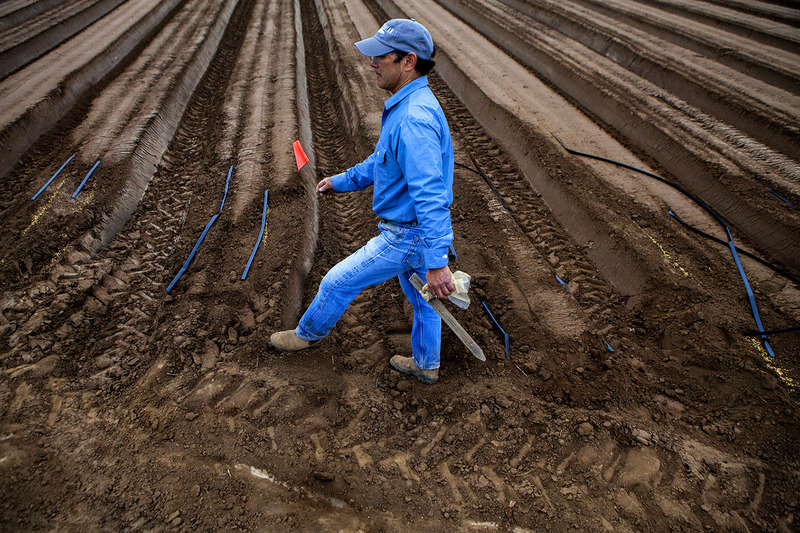 Methyl bromide is especially important in California, where growers say conditions ­– like the high cost of land and type of soil – make things dicey. Strawberry growing is a high-risk, high-reward business. Fumigants help growers hedge that risk. From a modest ocean-blue house on the western edge of the property, Koda raised three kids. He still lives there with his wife, who handles the farm’s finances. Koda’s not too worried about the health impacts of living or working near fumigants. “I’m still here. I haven’t mutated,” he joked. Methyl bromide is a phantom gas. It’s odorless and colorless. Chemical companies manufacture it by distilling the reaction between two chemicals, methanol and hydrobromic acid. It also leaks out naturally in small amounts from algae and kelp. Once the fields are cleared of last season’s strawberry plants, the manufactured version is combined with another chemical like chloropicrin and pumped more than a foot deep into the soil by a hulking metal tractor that looks like a Zamboni outfitted with a bunch of gigantic tattoo guns. For more investigations like this, sign up for our newsletter. The gas courses through the soil, killing weeds, fungi and bacteria. It’s so potent that nothing can be planted for almost two weeks afterward or it, too, will die. Inevitably, some of that highly toxic gas escapes. Workers and neighbors can breathe it in, giving them headaches or making them vomit. Studies have found a connection between living and working near these chemicals and developing neurological and reproductive problems. But in the 1970s, the main concern was what happened when that gas drifted up into the atmosphere. Humans had begun to learn that the chemicals they used to keep their refrigerators cold and their bangs tall were creating a hole in the ozone layer. A depleted ozone layer could lead to increased skin cancer risk and damage plants and marine life. Methyl bromide, too, was blamed for between 5 and 10 percent of the ozone depletion. Eventually, the nations of the world banded together to take action, signing the Montreal Protocol in 1987. Five years later, methyl bromide became the only pesticide to be banned by the treaty. The agreement demanded that the pesticide be out of use in all developed countries by 2005. Today, the Montreal Protocol is considered the most successful international environmental accord ever inked. California’s strawberry growers, however, have fought back against the ban since the start. They’ve said they don’t have good alternatives to methyl bromide, despite millions of dollars of research. They’ve argued that global science doesn’t apply to the unique conditions in California. They funded studies warning that without methyl bromide, their industry would suffer deeply. The authors of the Montreal Protocol created an escape hatch to ensure the treaty wouldn’t result in economic disaster. A country can get exemptions by proving that there are no viable alternatives and that a lack of methyl bromide would put an industry in a financial bind. They are known bureaucratically as “critical use exemptions.” California’s strawberry industry has dominated them. Nearly a decade after methyl bromide was supposed to be banned in the developed world, California strawberry growers are largely the only ones still using it. They got about 90 percent of the exemptions issued globally this year, according to a Montreal Protocol committee meeting report. California growers’ use of methyl bromide dropped 60 percent between 1991 and 2012. But the state still has used nearly a million pounds of the chemical this year, while other strawberry-producing countries like Spain and Japan have used none. Beyond the environmental damage, methyl bromide also presents serious health risks. Last year, a group of UC Berkeley researchers found a connection between living near methyl bromide use and giving birth to babies who were lighter, shorter and had smaller heads. Still, it’s only a matter of time before methyl bromide use is discontinued in places like Oxnard. The U.S. said it will not seek exceptions for its strawberry growers past 2016. California strawberry growers nearly had their replacement in a pesticide called methyl iodide. In 2010, the state allowed it to be used, despite warnings from Nobel Prize winners and state staff scientists that it was extremely dangerous to human health. But after a judge forced California regulators to release internal documents, the pesticide’s maker pulled it from the market. Instead, the industry increasingly has turned to 1,3-D – strawberry growers’ use has shot up by more than 200 percent over the last decade. And that chemical comes with its own sordid backstory. Fumigants have been linked to cancer, developmental problems and the hole in the ozone layer. For a few spring days in 1990, Lynn Baker drove the two-lane roads that slice through Merced’s sweet potato fields, searching for places to put his air monitors. Initially, it all felt routine. Baker, upbeat and unflappable, managed three or four studies on toxic pesticides each year. Most of the time, the tests didn’t turn up anything too notable. He placed five monitors on the roofs of schools and firehouses and returned to his Sacramento office of the California Air Resources Board to wait for the results. Two weeks later, the data began rolling in. It was astonishing. A monitor at one Merced middle school registered 1,3-D levels that were 800 times what the state said was acceptable on one day. He immediately picked up the phone to call the state’s pesticide regulators. With the boss out, Jim Wells was in charge that day. A lawyer charged into Wells’ meeting to break the news. At first, it didn’t register. Five minutes passed, and then Wells realized he had to act. Within days of Baker’s discovery, the chemical was pulled from the market. Wells recalls the day on the calendar: Friday the 13th. He remembers the details vividly. “It’s like when Kennedy got shot,” said Wells, who went on to become the department’s director and then a consultant for Dow AgroSciences, the California Strawberry Commission and others. But Dow, the pesticide’s manufacturer, wasn’t going to let 1,3-D disappear from one of its most important agricultural markets without a fight. Ex-California pesticide official Jim Wells said it was “like when Kennedy got shot” the day in 1990 when he learned of high 1,3-D levels in Merced. For the next five years, Dow embarked on a $5 million research campaign to persuade the state that the chemical could be used safely. It focused on new ways to apply 1,3-D so that less of it escaped into the air. By 1995, California decided Dow’s research showed that 1,3-D could be used safely again. The state had conditions: It put strict rules on how much could be used and where. To limit cancer risk for the public, regulators needed a way to control how much was used in each community. But the vast size differences between cities and counties made it hard to find a uniform way to regulate the pesticide. Regulators arrived at a number its scientists thought was appropriately cautious: 90,250 pounds of 1,3-D per township. Growers in each township could share this amount per year. The state created the current township system in 1999. For two years, growers and Dow lived within that system. Then growers said they needed more. And Dow let it be known that it wanted to be free from the restrictions it helped design to get 1,3-D back into use on more California fields. By 2001, Congress had begun to limit the production and importation of methyl bromide, and farmers’ use had dropped by half in two years. Sweet potato growers, who also are reliant on fumigants, wanted help. So state regulators, citing “the severe crisis” the growers faced, decided to make an exception to the strict rules for 1,3-D. The state gave five townships permission to use extra 1,3-D.
Paul Helliker, then the Department of Pesticide Regulation’s director, acknowledged in a 2001 memo that the exceptions would allow people in those communities to be exposed to more 1,3-D than regulations allowed. For that reason, he said, he’d permit the exceptions for only two years. After that, Dow and the state would have to stick to the rules or create new ones, the memo said. Less than a year later, however, Dow’s Bryan Stuart and Bruce Houtman wrote a letter to Helliker recommending that he allow growers to apply up to twice the township cap all across the state. Stuart, a government relations manager, and Houtman, a global regulatory manager, argued that as long as people’s average exposure remained the same over a lifetime, the state should allow growers to break the cap in any individual year. To make it work, Dow proposed the idea of creating a 1,3-D bank for each township. It would work like cellphone rollover minutes: If growers in a township didn’t use all of their allotted fumigant in previous years, they could use that much more of it in future years. State toxicologist Nu-may Reed already had contested the idea in a memo to her superiors when Dow began to float it. Dow’s plan to average people’s exposure excluded the decades of heavy 1,3-D use before it was pulled from the market in 1990, she noted. She also reiterated an earlier concern. The state had set the level of risk it was comfortable with for 1,3-D: It was OK for the pesticide to cause one projected extra cancer case per 100,000 people. Reed thought that should be one extra case for every 1 million, a figure that would’ve significantly restricted how 1,3-D could be used in the state. Despite Reed’s objections, Helliker gave Dow the green light. The plan he signed off on was clear: No one was to use beyond what they had saved up from previous years. But the state began allowing Dow and growers to do just that before Helliker left the department in 2004 and continued to do so under the next two directors. The pesticide regulation department has allowed Dow and growers in 11 townships to let their 1,3-D bank account go into the red. In one area in Merced, growers and Dow have gone more than 1 million pounds in debt. Dow was in charge of collecting and monitoring data on 1,3-D use across the townships. When a grower requested the pesticide in a township that already had hit its limit, Dow often sent a request to the department seeking permission to use more. In the beginning, the requests came straight from the California Strawberry Commission or as a quick email from Jim Wells, the department director-turned-consultant. The department then granted what it called a “temporary increase” of 1,3-D. In 2008, Dow wanted to do away with the exceptions and increase the township cap from 90,250 pounds to upward of 135,375 pounds. And the chemical company wanted a new exception: It asked the state to allow growers to request up to four times the new cap. Assistant Director Marylou Verder-Carlos asked staff scientists to study the request. A year later, toxicologist Linda Hall wrote a memo objecting to the proposal. She also challenged the underlying basis for the entire system of exceptions asserted by Dow and Helliker. The system “may actually increase cancer risk,” she wrote. “We are unaware of a defensible scientific rationale justifying such a practice,” Hall continued. Her opinion was similar to the one Reed voiced at the beginning of the process. The department denied Dow’s request for looser regulation. And Verder-Carlos also did something the department hadn’t done since it put the Dow system in place: She denied a request from Dow on behalf of Merced growers to exceed the township cap. However, the burst of caution at the department proved to be fleeting. It was the only exception request the department would deny. The Dow system continued unabated following Verder-Carlos’ initial concerns. Farmworkers prepare to fumigate a strawberry field in Ventura County, Calif.
On behalf of growers, Dow continued to ask for permission to use more 1,3-D than the plan allowed. The state continued to approve the requests. Internal scientists warned that the plan could increase Californians’ cancer risk. State air monitor data worried regulators. But department officials didn’t stop granting the exceptions. The director at the time was Mary-Ann Warmerdam. During her seven years as director, the state handed out the bulk of its 1,3-D exceptions. She now works for The Clorox Co. and declined to comment, citing company policy. The state’s reasoning for not stopping the system: It makes decisions based on science. To halt the exemptions, officials said they wanted air monitoring data to back up what the computer models were telling them. Dow didn’t start collecting that data until 2010. On Dec. 9, 2013, The Center for Investigative Reporting filed a public records request seeking the department’s 1,3-D records. Two months later, on Feb. 19, department Director Brian Leahy issued an abrupt decision that left farmers across the state reeling: The state would cease granting some of the exceptions it’d been handing out for more than a decade. The state would no longer allow townships to go into the red, reverting back to the plan Helliker originally signed off on in 2002. But it still would allow the Dow banking plan that Hall, the state scientist, said had no basis in science five years earlier. Department officials said they got the Dow data in early 2013 and it took nearly a year to fully analyze it. Once they had, in late 2013, it showed higher levels of 1,3-D in some areas than the state was comfortable with. Dow disagrees with the department’s decision to curtail exceptions. The company said the state analyzed the data in a problematic way. Dow also said that during its monitoring, more 1,3-D was used than normal because it was testing the accuracy of its computer model. It said the township caps are based on outdated science and conservative estimates. Dow has funded new research to make the case that the township caps are too cautious. It says a recent study by an Indiana University professor on the way 1,3-D causes liver tumors in rats is evidence that humans aren’t likely to get cancer from being exposed to the pesticide. It also commissioned a survey to show that people are not as likely to be exposed to 1,3-D over a lifetime, as the department assumes, because they tend to relocate every 25 years. In a recent interview, Helliker repeatedly said he couldn’t recall the details about how he made the decision to create the township cap exceptions. He also said he couldn’t recall what system he’d set up to ensure that the 1,3-D bank didn’t get busted. “I haven’t looked at the mechanism that they put – we put – into place to manage that,” said Helliker, who now serves as a top state water official. Do you have questions about this investigation or want to share a personal story about pesticides? Email us at strawberries@cironline.org, or leave us a voice message at 805-421-4827. Not everyone is as sure as the state that 1,3-D causes cancer. Federal and international organizations consider it a possible or probable carcinogen. There’s no direct evidence that people have gotten cancer because of 1,3-D. But they’ve been put at a higher risk for cancer than state scientists thought was acceptable. There are also few studies that have looked at the actual health effects associated with living next to places where fumigants are used. And cancer also can sit latent for years, making it hard to link cause and effect. There are so many factors at play, like genetics and other environmental pollutants, that it’s difficult to trace cancer or a lower IQ to a pesticide or any other specific cause. For the vast majority of cancer-causing substances, scientists don’t know exactly what triggers the disease and how much exposure would cause it. Estimating chemicals’ risk to humans is notoriously imprecise. Pesticide regulation largely relies on calculations based on animal studies to extrapolate how exposure might affect humans. The rules typically include extra precautions to protect people who are especially vulnerable, like kids and the elderly. For each chemical, the California Department of Pesticide Regulation must consider conflicting science and weigh numerous uncertainties. California is considered the gold standard for pesticide regulation.It’s one of the few states that go above and beyond the federal Environmental Protection Agency’s standards. Dow, for example, says California’s regulation of 1,3-D is the strictest in the world. But two retired senior scientists told CIR that the politically appointed department leaders aren’t straightforward about how much catering to the bottom line of farmers and chemical companies has played into deciding the amount of pesticides to which Californians can be exposed. “Obviously, few directors want to take such a stand and put in writing that some risk is OK,” said Joseph Frank, a retired toxicologist who worked on 1,3-D. The alternative, he said, is to cherry-pick science that supports their decisions. Jay Schreider, who recently retired as a staff scientist, said the department isn’t transparent about how economic factors help shape its decisions on Californians’ pesticide exposure. “That’s certainly not necessarily available to the public,” he said. Department officials said their decisions always ensure that human health is protected, but disagreement between management and scientists is a natural part of the process. Vast strawberry fields run right alongside a residential neighborhood in Oxnard, Calif. In jeans and a baseball cap, Edgar Terry stands in one of the 12 ranches he farms in Ventura County. There’s a smoke-spewing factory in the distance. Next to the field sits an office park and U.S. Highway 101, which runs alongside a glut of beige ranch-style houses. Neighbors come to Terry with complaints. The sound system he uses to scare away birds has been mistaken for gunshots. His tractors beep and roar on Saturday mornings, so neighbors want him to start work later, when the sun is high and hot. They have questions about what pesticides he uses and how he uses them. Terry said that most of the time, once he explains himself, neighbors are placated. One year, they fought his plan to fumigate, and he relented. “I didn’t want to get in a tussle,” he said. The strawberry crop didn’t turn out as he’d hoped. Terry estimates he lost half a million dollars. He hasn’t always been a strawberry grower. A fourth-generation farmer, Terry said his family historically has specialized in vegetables and legumes. But farmland on California’s coast is expensive, so he’s turned to berries because of the money they bring in. With the help of fumigants, he can coax 10 times the amount of berries from his land in one season that he can from beans. And shoppers will pay a lot more for the fruit. It’s an industry that has thrived recently: The total acreage of strawberry fields grew by 35 percent in California from 2002 to 2012, according to the U.S. Department of Agriculture. Terry’s still hedging his bets. This season, he partnered with the California Strawberry Commission to test whether the fruit can be grown without fumigants in artificial soil. In a corner of his field near the highway, he shows off an acre of strawberries that look similar to those being grown elsewhere on his property. Rows of crop beds, 46 inches wide, have been covered in black plastic. Bursts of red fruit pop out from between the plant leaves. Underneath the plastic, running 5 inches deep, is coconut fiber rather than the typical soil that can harbor so much fungi and pests. Farmer Edgar Terry uses chloropicrin to fumigate his strawberry fields. The state says it’s equivocal whether chloropicrin causes cancer. Researchers and growers have been running tests like this throughout strawberry country, some with the help of the Department of Pesticide Regulation, with the hope that they can find something to replace fumigants. Judging from what he sees in his field, Terry said it might just work. But it costs more, about $5,000 to $8,000 extra per acre. It’s grocery store chains – not growers – that dictate the price of fresh fruits and vegetables, but if Terry were able to pass the cost of pesticide-free farming on to consumers, it could add $1 or $2 to a $12 flat during peak season. For now, Terry feels like he has little choice but to pump fumigants into his soil. Americans spend 7 cents of every dollar of disposable income on food. Europeans, he notes, generally spend 15 cents. Terry got into the business after the stockpiles of methyl bromide began winding down. He never got to use methyl iodide; few did. And he doesn’t use 1,3-D anymore. Instead, like many other strawberry growers, Terry turns to chloropicrin, the chemical weapon from World War I that gave birth to the entire genre of agricultural fumigation in the United States. It, too, comes with health concerns. Constant exposure over the short term can cause severe breathing problems and even death. The state Department of Pesticide Regulation isn’t sure whether it causes cancer. In 2001, new air monitoring by pesticide companies detected troubling levels of chloropicrin, prompting the department to evaluate whether its protections were adequate. Nine years later, after an extensive review, the department’s directors had a difficult decision to make: Did chloropicrin cause cancer? If the state said chloropicrin was a carcinogen, it could face stricter limits on how much could be used. The case of chloropicrin is a case study in the tensions of balancing risk when there isn’t clear enough scientific data. There is deep scientific disagreement on the issue. The EPA, National Toxicology Program and European Union don’t consider it a cancer causer. In their report to their bosses, the Department of Pesticide Regulation’s scientists found some evidence that chloropicrin could cause cancer. They acknowledged that the conclusion was based on limited information: one study that showed two female rats developed tumors after being exposed to the chemical. The state’s Office of Environmental Health Hazard Assessment and the Scientific Review Panel came to the same conclusion. They are independent groups that serve as checks and balances against the department’s science. In the face of this scientific debate, the department had to make a choice. The decision fell to Chris Reardon, the department’s chief deputy director. Before coming to the department, he worked for the Manufacturers Council of the Central Valley – which represents food and wine processors, among others – and for state politicians. The state is currently creating its new rules for how growers use the pesticide on the basis that chloropicrin isn’t a carcinogen. Valeria Garcia walks by strawberry fields on her way to Rio Mesa High School in Oxnard, Calif.
Valeria Garcia’s life is framed by strawberries. She sees row after tidy row of strawberry fields when she opens the door on school mornings and heads out of her family’s bungalow just as the sun sneaks above the mountains and shows itself to the Oxnard Plain on California’s Central Coast. The smell is sweet, like a grocer’s aisle, and very bluntly strawberry, mixed with morning ocean air. The fields accompany Garcia as she hugs her books on her walk to school, first along the gravel road that separates her home from the crops. When she hits busy Central Avenue, hulking power lines buzz with energy and cars whoosh by. On each side of the road, endless lines of industrial strawberry fields run off into the distance, broken only by Rio Mesa High School. Here, Garcia is the founder of the school’s mariachi class. She plays everything but the trumpet. With plans to study medicine at UCLA, she’s got a good shot at one day joining the professional athletes, lawyer types and do-gooders whose photos line the alumni wall at the school’s front office entrance. For now, though, she remains at Rio Mesa, making her an unwitting subject in the high-risk game of strawberry farming. Her family moved into its home 12 years ago, right as the state’s Department of Pesticide Regulation altered the rules designed to protect residents from cancer. Her two younger sisters haven’t lived anywhere else. When Rio Mesa opened in 1965, the school district didn’t expect it to be surrounded by fields for long. Planners believed the area’s farms eventually would yield to housing. But the fields have not retreated. Rio Mesa’s football team still plays adjacent to a farm, and its fans watch the game from bleachers that overlook a broad expanse of strawberry fields. This has made Garcia’s school a hotbed for pesticide concerns. In 1999, a group of Latino families filed a federal civil rights complaint alleging that they were being discriminated against because of the amount of methyl bromide used near their schools. The complaint ranked California schools with the highest amount of methyl bromide used nearby. At the top of the list was an Oxnard elementary school, where nearly 80,000 pounds of the chemical were used in a year. Rio Mesa High School ranked second. Nine of the top 10 schools were in Ventura and Monterey counties. On average, more than 80 percent of the students at these schools were minorities. The Civil Rights Act of 1964 prohibits the federal government from funding programs that discriminate, and the U.S. Environmental Protection Agency supports California’s pesticide regulation. The families claimed that the Department of Pesticide Regulation allowed methyl bromide use despite disproportionate health risks to minority students. For a dozen years, they heard little. By that time, the Rio Mesa students had graduated and gone on to have kids of their own, who would go to the same Oxnard schools. Then in 2011, the EPA issued a preliminary report siding with the families. The state disagrees with the finding, but it settled the case nonetheless. The settlement didn’t require limiting pesticide use. Instead, the state had to ratchet up its educational efforts and conduct air monitoring of methyl bromide at two places for a few more years. At that point, methyl bromide was no longer the fumigant presenting the greatest threat to student health. 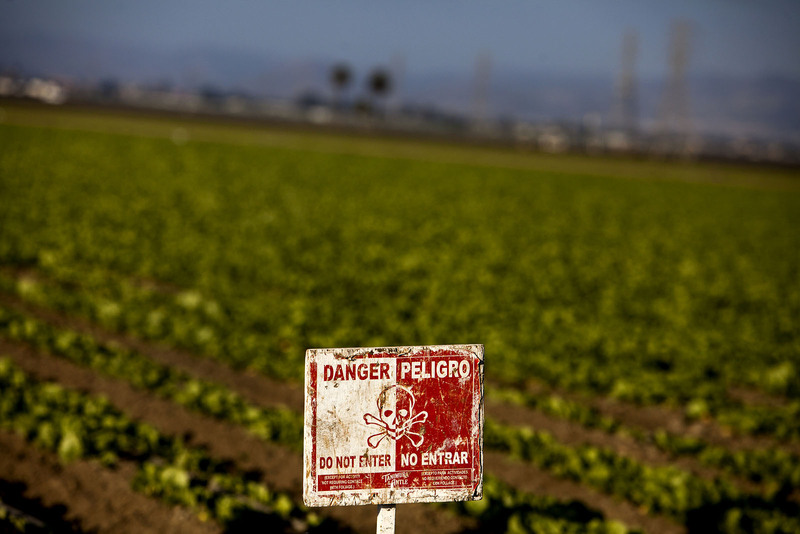 Growers near Rio Mesa had turned to other fumigants such as 1,3-D, the most heavily used pesticide in the area. Parents filed a new complaint last year contesting the surprise settlement, arguing that they should have been involved. The same air monitors that are used to test for methyl bromide also are picking up 1,3-D.
What neither Rio Mesa’s teachers nor its principal knew: An air monitor on the grounds has been collecting pesticide readings for years. The state’s regulations accept that over a lifetime, 1,3-D could cause one additional cancer case for every 100,000 people. In 2011 and 2012, the Rio Mesa monitor found levels slightly above the annual goals that maintain this level of cancer risk. That means that despite the fact that the principal and growers make sure no one’s at the school when pesticides are applied, 1,3-D still persists in the air at Rio Mesa. This is just the kind of information that Jeremiah Brennan and other teachers at Rio Mesa have wanted. They had no idea this data existed, even though the legal settlement called for the pesticide regulation department to crank up its educational outreach. 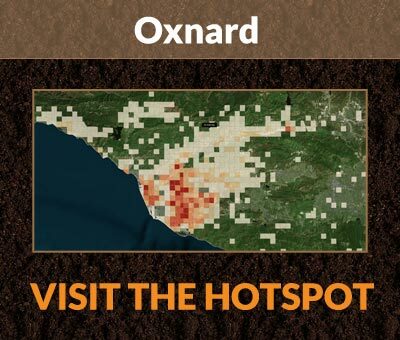 Brennan has spent his life along the borderlands of agriculture and suburban development that define Oxnard. His stepgrandfather operated a lemon orchard. As a kid living in an Oxnard housing tract, he could run into neighboring fields and lift a few cucumbers before dashing home to eat them with a sprinkle of salt. Today, as he teaches algebra at Rio Mesa, he looks out his window at a view of line after line of strawberry fields 20 feet away. His wife, Ingrid, also teaches here. Growers have dutifully returned errant toy rocket ships that have flown into the fields during Brennan’s math class project. And they donate crates of fruit every year so the school can make its strawberry pizza at the California Strawberry Festival held in Oxnard each May. Still, Brennan is uneasy about the pesticide use. Brennan has taken it upon himself to read about the efficacy of the plastic tarping that’s used to cover the fields after the fumigants are applied. He’s looked into whether there are low-cost pesticide monitors he could use to run his own mini-experiment on the campus. But it’s been hard to get good answers. So he, like so many here, has to take it on faith that the state is protecting him and his students. Reporting intern Katia Savchuk, senior news applications developer Michael Corey and reporter Rachael Bale contributed to this story. It was edited by Robert Salladay and Robert J. Rosenthal. It was copy edited by Sheela Kamath and Nikki Frick. Bernice Yeung can be reached at byeung@cironline.org, and Andrew Donohue can be reached at adonohue@cironline.org. Follow them on Twitter: @bmyeung and @add. This story was published with the Guardian US. DARK SIDE OF THE STRAWBERRY Chapter 1 The investigation Chapter 2 The history Chapter 3 The details Chapter 4 The farmer Chapter 5 The school Animation The modern strawberry Map Pesticide hotspots The Gist California’s $2.6 billion strawberry industry relies on a class of pesticides called fumigants, which have been linked to cancer, developmental problems and ozone depletion. The industry’s preferred fumigant, methyl bromide, was supposed to be banned by 2005, but California strawberry growers are largely the only ones in the developed world left using it. With the ban looming, state pesticide regulators allowed growers to blow through the health limits on another fumigant, 1,3-D, despite concerns from state scientists. The decision increased cancer risk for people living in more than 100 California communities, documents and interviews show.